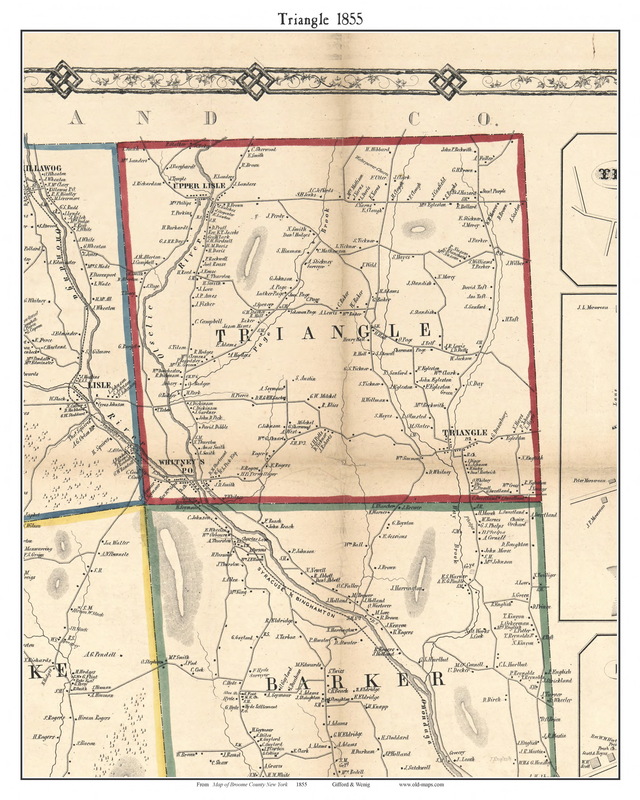 Triangle, New York 1855 Old Town Map Custom Print - Broome Co.
Click the button below to add the Triangle, New York 1855 Old Town Map Custom Print - Broome Co. to your wish list. Publisher/Engraver - A.O. Gallup & Co.